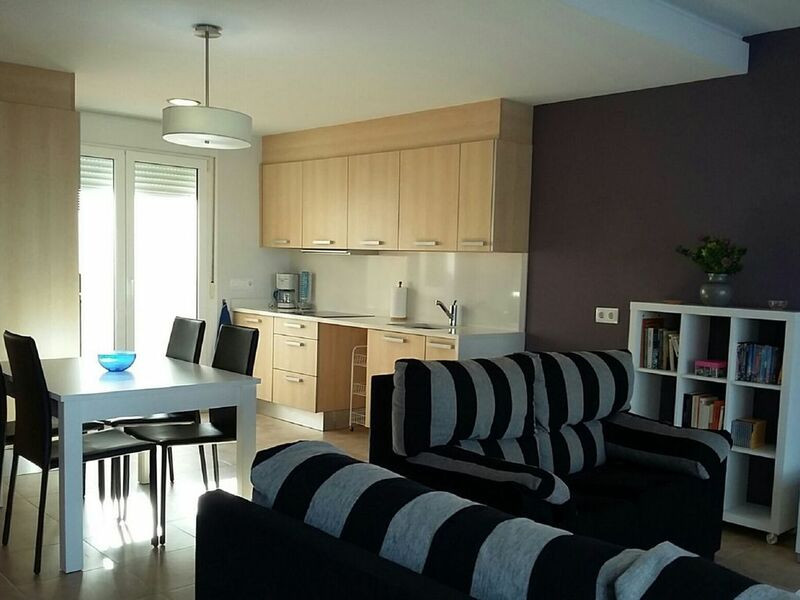 Townhouse of recent construction, zone Kiko-Sector 19, ideal for a family of up to 5 members. There are 2 floors, on the ground floor there is the kitchen-living room and a bathroom, and on the upper floor the 3 bedrooms and another bathroom. It has a small garden in front, and a patio behind. It has air conditioning in the living room and the main room. It is fully equipped. No problems to park and only 150m from the beach and 2km from the center. Located in a very quiet area with fine sand beach and clean waters with protected Mediterranean dune. Pets are not allowed for sanitary reasons.